"The hilarious and wildly popular instagram comic about a world with no men With her startling humor, it's no surprise that Aminder Dhaliwal's web comic Woman World has a devoted audience of more than 120,000 readers, updated biweekly with each installment earning an average of 25,000 likes. 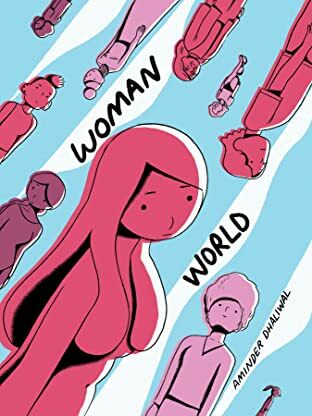 Now, readers everywhere will delight in the print edition as Dhaliwal seamlessly incorporates feminist philosophical concerns into a series of perfectly-paced strips that skewer perceived notions of femininity and contemporary cultural icons. D+Q's edition of Woman World will include new and previously unpublished material. When a birth defect wipes out the planet's entire population of men, Woman World rises out of society's ashes. Dhaliwal's infectiously funny instagram comic follows the rebuilding process, tracking a group of women who have rallied together under the flag of ""Beyonce's Thighs."" Only Grandma remembers the distant past, a civilization of segway-riding mall cops, Blockbusters movie rental shops, and ""That's What She Said"" jokes. For the most part, Woman World's residents are focused on their struggles with unrequited love and anxiety, not to mention that whole ""survival of humanity"" thing. 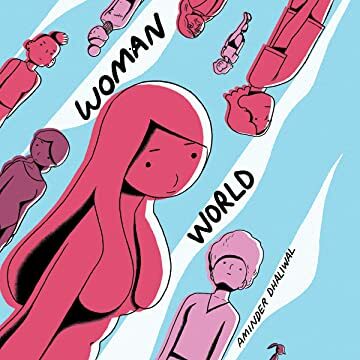 Woman World is an uproarious and insightful graphic novel from a very talented and funny new voice."